In this OXbtc review, we go over the cloud mining platform’s important profit factors. These factors have a major impact on the company’s ROI, them being maintenance fees, contract purchase value and industry trends. We also go through platform’s security measures and overall reputation within the cloud mining communities. We conclude with the remarks on the ROI results from our calculations. Throughout the review, we compare OXbtc with popular cloud mining providers, such as Genesis Mining and Hashflare. 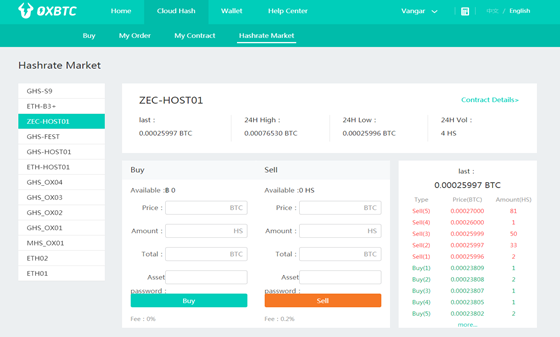 Formerly known as Zeushash, OXbtc is a platform owned by HalleyBTC, with headquarters located in China. 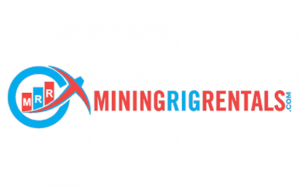 The cloud mining website was established in 2014 as a side project by the HalleyBTC. 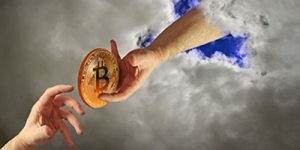 Its cloud mining services are different from HalleyBTC with additional distinction found in the fact that it also offers other services. Its mining farms are thus the property of HalleyBTC, located in Sichuan, Ordos, and Inner Mongolia of China. Through HalleyBTC, platform operates through ICP license obtained by Ministry of Industry and Information Technology of China. The company itself is registered with Chinese Trade and Industry Bureau. Customer support offers very limited FAQ section and regular ticket system. Genesis Mining and Hashflare both have an upper hand in the FAQ sphere, though not much can distinguish these platforms. Available cloud mining program is where OXbtc starts to greatly differentiate from HalleyBTC. To start off, it offers regular hash power purchase. Unlike with HalleyBTC where you deposit coins and get fixed interest paid back to you. At this moment, you have two contracts to choose from, one being for bitcoin, other for Ethereum. In both cases, contact’s length stands to be a lifetime, though company reserves the right to cancel the plan. OXbtc can offer a new program due to the changes in mining difficulty and price value of the chosen cryptocurrency. The BTC mining contract has a price of $214 per 1 TH/s while Ethereum costs $21 per 1 MH/s. You are also charged a management fee of 5% in both cases, charged through mining profit you accumulate. You are also obliged to pay electricity fee of $0.2278 per TH/s on daily basis for BTC cloud mining plan. 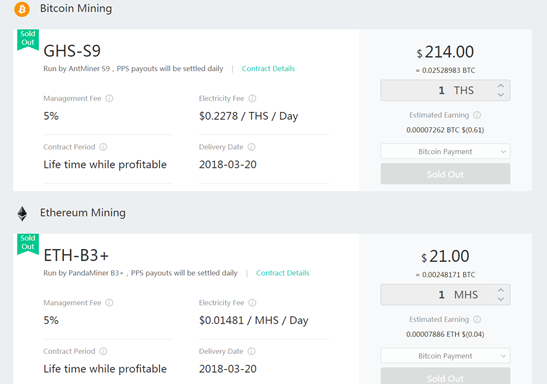 Ethereum carries $0.01481 per MH/s daily as well and both plans’ details can be seen in the snapshot below. Compared to Hashflare and Genesis Mining, OXbtc takes more fees and offers a smaller number of contracts. 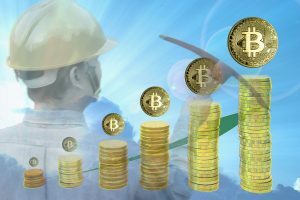 Both Hashflare and Genesis Mining do not have management fees while electricity bills are paid for bitcoin plan only. What OXbtc does have that others do not, is its peer-to-peer (P2P) market, where you can purchase hash rate according to the market offers. You can check out the platform in the picture below. Should you decide to enter the P2P marketplace, as a seller, you would pay up 2% fee of the contract’s value while buyers have no costs. At this moment, only BTC and ETH contracts are available. Right now, you can only deposit and withdraw cryptocurrencies from and to OXbtc platform. Fiat currencies are not available and plans, although expressed in USD, have price tags expressed in coins. The fees for such transactions are paid in both deposits and withdrawals, as you have to move coins from your external wallet and back once withdrawing. These costs refer to miner fees, paid to blockchain as bonuses for miners to get when getting order batches. They are usually small but can change drastically on a day-to-day basis. Since P2P market changes constantly and depends on current trends, we evaluate ROI of OXbtc offered cloud mining plans. The profit analysis refers to both bitcoin and Ethereum programs, designed to calculate a number of days to reach the breakeven point. The Profit/loss table presents the data below. Taking into account maintenance and management fees, BTC is the only profitable program. Ethereum would land you daily loss of $-0.11. It means that the longer you participate, more losses you would incur taking into account industry factors. As for the bitcoin plan, you would need almost two years to return the invested funds. Only after 578 days will you actually make money if current mining difficulty and BTC price sat constantly. It is important to notice that BTC difficulty will increase over time while price value is uncertain. With more difficulty, you will get less coin, prolonging the ROI period. Genesis Mining has a similar ROI rate while Hashflare transverses between positive 5% and negative 8% ROI. Thus, we deem OXbtc to be on par with Genesis Mining and slightly better than Hashflare. 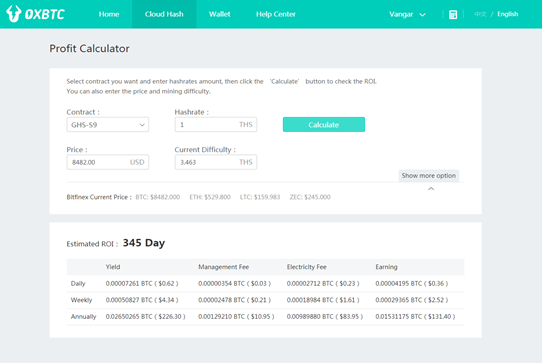 The platform offers cloud mining calculator, designed to help you determine the profitability rates of cloud mining programs. The said tool is similar to what we offer, though it offers less visible results, as seen in the picture below. We also deem payout days to be overly optimistic and incorrect. Thus, you should use our calculations in order to get results that are more accurate. OXbtc offers a bit more security than HalleyBTC though it is on par with Genesis Mining and Hashflare. 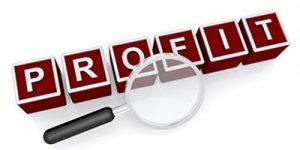 Available protection tools to you are password manager, transaction password manager, phone SMS code, and Google two-factor authentication (2FA). We still deem these tools inadequate when faced with hacking risks. Thus, we would advise you to withdraw coins from your account after several payouts. The OXbtc has a bit better reputation than HalleyBTC since payouts seem to be regularly incoming. Those that have claimed that no payout was made, after contacting support, they did get their coins back. These comments come from BitcoinTalk and Reddit, with majority claiming that, although legit, is very unprofitable. This is on par with our profit analysis, as the company does offer legit services but not as good as OXbtc claims them to be. Overall, we would say that OXbtc does a better job than HalleyBTC. It is on par with Genesis Mining and Hashflare in terms of ROI attractiveness and security. In this OXbtc review, we uncovered that it takes almost two years to get your investment back. You might have more luck in their P2P market, though it seems to be a less popular choice due to lack of market orders.